In occasion of the opening Nele Azevedo did her performance at the stairs of the MALI Museum. On October 28th 2014 Nele Azevedo carried out her performance "Minimum Monument" in Lima. 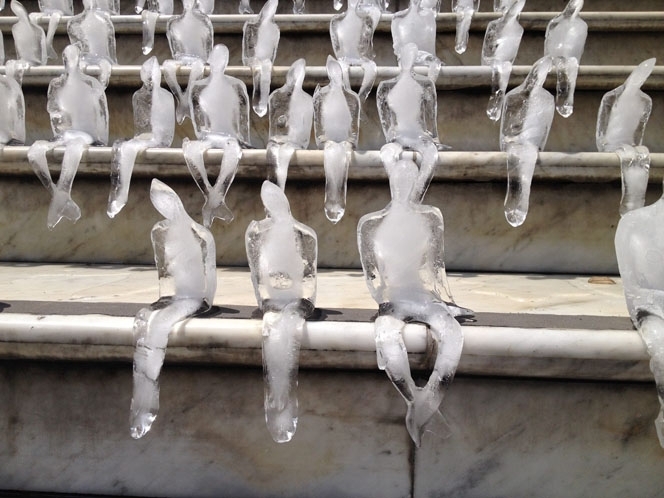 Together with the team of the Goethe-Institut Lima the Brasilian artists placed her ice sculptures on the stairs of the Museo de Arte de Lima (MALI) and invited the public to participate and think about the existence and its not necessarily eternity.